I've actually been reading quite a bit before bedtime, given that most everything else I read these days is for work or school. I recently discovered the Overdrive app for iPad, and I can check out a ton of books for FREE via my library and read them. W00t! 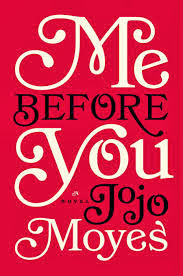 But I actually want to talk about a book my coworker lent me, Me Before You by Jojo Moyes. OMG. This book just blew me away! Was it realistic? No. Did I laugh and cry and laugh? Yes. I read it in two nights and absolutely couldn't put it down. Me Before You is about a rather boring/ordinary young woman who takes a job as a caretaker for a wealthy paraplegic who used to have a high-powered career and lifestyle. But it's not what you think it is. It's never what you think it is! It's a beautiful story about friendship and people and making the most of the life that you have. I don't want to give it away, but this book made me simultaneously sad, happy, and furious It's just one of the best books I've read in a while. I know a lot of book clubs are picking this one up, and it's one of the few mainstream book club books I've really loved. The Selection & The Elite by Kiera Cass: My friend Jen blogged about these YA books, so I downloaded them for my Kindle and read them both on flights for work. I have this thing for dystopic future love triangle books like The Hunger Games, and this one is kind of like The Bachelor set in a weird future like that. I really enjoy these despite the typical love triangle angle (Why do YA books all have love triangles? Hello, Twilight and Hunger Games.) and controlling government in a weird future society thing. One Thousand and One Nights retold by Hanan Al-Shaykh: This retelling was supposed to be really great, but I found it to be very dull and uninteresting. Graceling by Kristin Cashore: This is part of a series, but since the sequels don't follow the same characters, I read it as a stand-alone. This is a YA fantasy book about Seven Kingdoms where some individuals are born with graces, or special talents that make them both special and dangerous. I enjoyed this read, not bad! Code Name Verity by Elizabeth Wein: This book was slow for me to get through, but centers around two young women working for the British in WWII shot down over France. I didn't like the ending and felt generally confused, but it's not uninteresting to read. Another YA book I found. Stargirl by Jerry Spinelli: More YA. Why didn't I read this when I was younger? We all knew a Stargirl, brought down by the popular kids because she was too different. Because she was determined to be herself. This is a great book that needs to be read by more kids. Period. Matched & Crossed by Ally Condie: These books aren't very good. They kind of feel like a rip-off of The Giver plus a weak love triangle. Basically, in this YA dystopic future, individuals are matched with their future spouse, and some aren't matched at all. They live in a controlled society, where some members are views as tainted or less desirable, like a caste system. I keep reading these just to figure out the ending, but I view them like junk food books. I have one more to go, and my expectations remain low. Every Day & Six Earlier Days by David Levithan: These, too, are in the YA department. Sensing a trend? I think I like reading YA because the books are easy to read and typically quick... they are my candy. This book (and prequel novella) are about a being called A that spends each day in a different body. It's a fascinating premise, and the book doesn't disappoint. I recommend it, though I'm not sure how I feel about the ending. There's no sequel planned, so it's kind of different from other YA series that tend to work in trilogies. 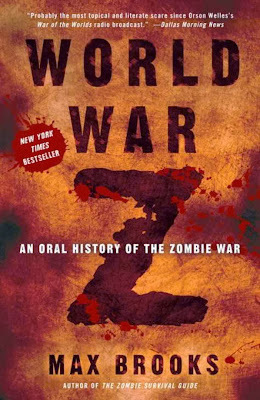 World War Z: An Oral History of the Zombie War by Max Brooks: LOVE this book. So much better than the movie, and I wish they'd make another movie that tells the diverse oral histories within this book. Duke and I watch The Walking Dead, and while I'm not a fan of horror, this books reads like an actual report of the zombie epidemic, and the characters read as real people with incredible stories. I really felt like I was reading a documentary. I highly recommend this book!!! 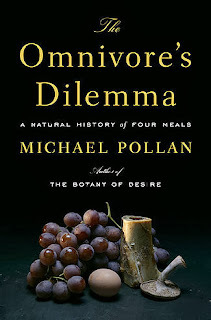 The Omnivore's Dilemma & In Defense of Food by Michael Pollan: My cousin S likes Michael Pollan's books, and I've read other food books like Fast Food Nation. 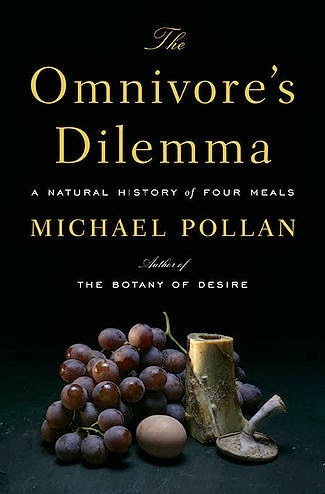 I really liked The Omnivore's Dilemma. It just makes you think about the American food landscape, sustainability, and what we put in our mouths. Seriously FASCINATING and I can't stop referencing it and recommending it. In Defense of Food, on the other hand, felt too political and opinionated to me. I just didn't feel the same way about it, and I never finished it. I gave up. But I still recommend the first book!!! The Spirit Catches You and You Fall Down by Anne Fadiman: Before I read this book, the only thing I knew about the Hmong people I learned from that Clint Eastwood movie Gran Turino. This book is about a special needs Hmong child and the cultural obstacles the doctors and social workers encounter in dealing with her family and the Hmong people. Coming from a mixed race background myself, I saw how things being lost in translation could literally impact the lives. Currently Reading: A People's History of the United States by Howard Zinn... this one will take me a bit! I felt the same way about Me Before You -- it was someone else's choice in my book club, and within the first few pages I was like, "This is gonna be SO predictable and dumb." But it was entertaining and I stupidly got sucked in and although I wanted it to end the way it did, I didn't want it to end the way it did. Happy sad happy. This month's book is The Shining which is oddly my first Stephen King, although my mom is his #1 fan. You read way too much and you're making the rest of us look bad. YES YES YES to your thoughts on Me Before You. It had to end the way it did, but I didn't believe it would!